Players advise that to find your guitar — the one that feels and sounds right to you, fits and plays well — you should try a variety of instruments. Good advice. Currently, in the quest for my next guitar, I’m interested in trying Collings, Santa Cruz, perhaps Bourgeois or Lowden as well. You know, the premium brands advertised & reviewed in magazines like Acoustic Guitar or Guitar Player. The tony, tone-full guitars pros play. It’s always fun to come across one or two Collings in one shop, and then maybe a triplet of Santa Cruz models in another shop. But it would be a hands-down blast to play all these instruments in one place! For a true scientific side-by-side study, of course. Enter Acoustic Vibes Music in Tempe, AZ. Last week I stopped into Acoustic Vibes Music, one of the best acoustic guitar stores you could imagine. I spent an hour or so chatting with the owner, Jeff Looker. He showed me three OMs — a Collings, Santa Cruz, Bourgeois, oh yah, and a Guild dreadnought (I’m not shopping for a dread, but Jeff’s a bluegrass player and he’s partial to Guild). They all sounded double fantastic, each with its own distinct voice. I had a chance to hold each one, feel its weight and balance, and admire the finish, inlays and hardware. Jeff talked about what differentiates these brands. 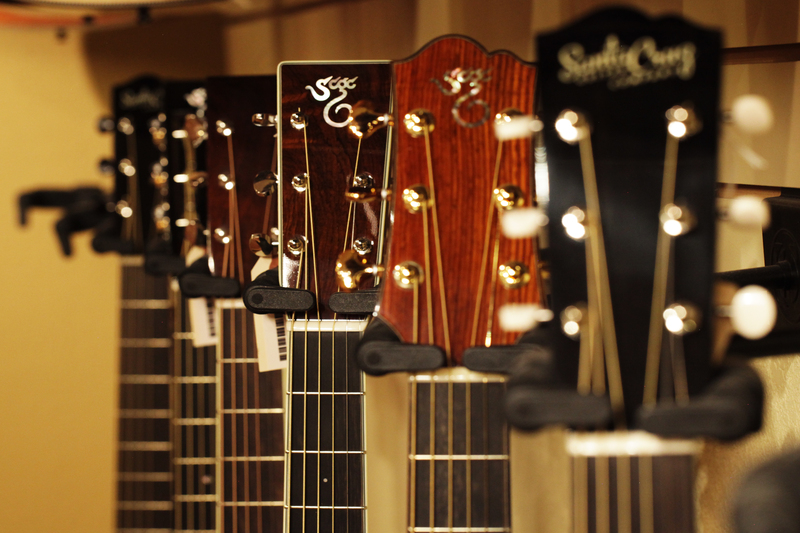 Now, what differentiates Acoustic Vibes is the depth and breadth of their stock. Two or three models from each manufacturer? No, not by a long shot — it was more like ten or fifteen or thirty plus in some cases. Really. Phenomenal. 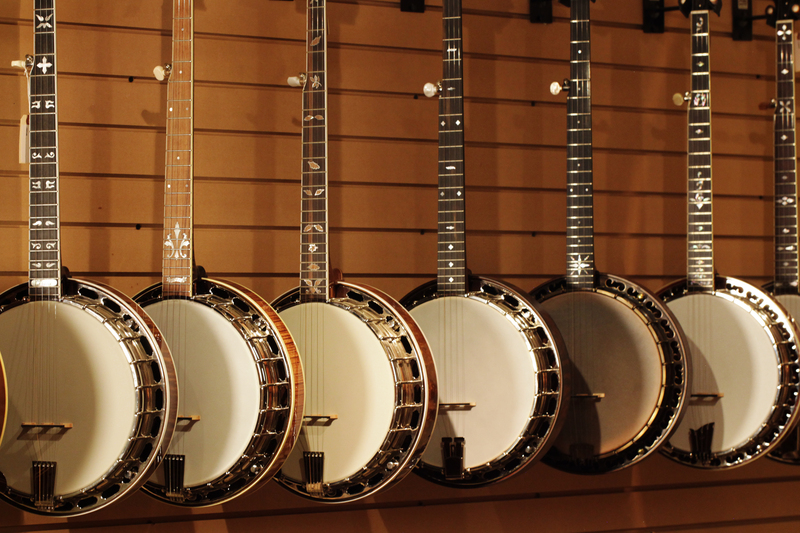 They have an extensive selection of banjos, ukes and mandos. 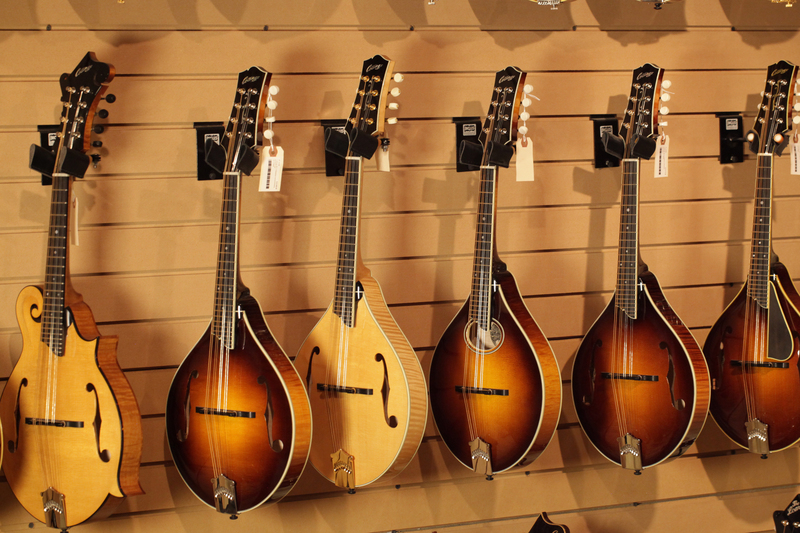 Of course they carry terrific Martins, Taylors and archtops as well. Electrics? Well, it’s not called Electric Vibes. If you’re looking for a place where you can compare guitars of this caliber, side-by-side in person, Acoustic Vibes could be your destination. Maybe I’ll see you there. Until then, I’ll go practice… I’m working on “I’ll See You in My Dreams“. Enter your email address to follow The Good Guitar blog. I'll make sure you receive email notifications of each new post. Thanks! Have You Played a Lowden?